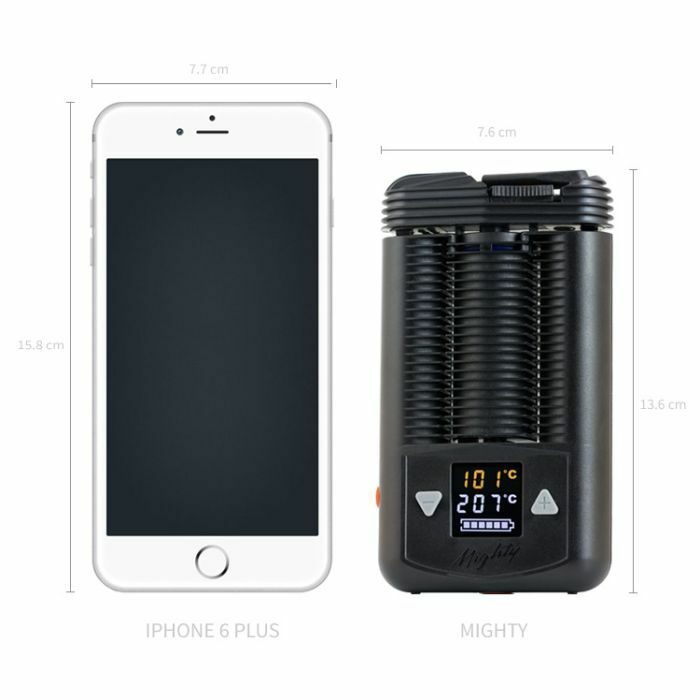 Made by world renowned manufacturer Storz & Bickel, the Mighty features an LCD display, precise temperature control and convection heating to deliver Volcano quality vapor in the palm of your hand. What's up everyone? This is Keagan for TorontoV TV. Let's have a look at the Mighty vaporizer, one of the very first portable vaporizers to be released by Storz and Bickel, the makers of the famous and ever popular volcano vaporizer. First I'll tell you what's in the box, then we're getting to how it works. Inside the package you'll find the Mighty vaporizer, one power adapter, one liquid pad, three spare screens, a cleaning brush, a herb mill, one filling aid, a set of spare seal rings, and if you order with us you can also choose to receive a free Zeus Bolt Grinder made of aircraft-grade aluminum. The first thing you're going to want to do with your unit is sterilize it. To do that, press and hold the power button to turn the unit on, then use the up button to set the unit to its max temperature setting. Once you've done that continue pressing the power button every 45 seconds or so to keep the auto shut-off from engaging. Leave the unit run for about 15 to 20 minutes. This will get rid of all of the manufacturing oils that may have gotten inside of the unit as a result of putting it together. Once you've done that the unit is ready for your first use. To load your vaporizer you're gonna need two things. The first thing is freshly ground botanical. To grind up your botanical we always suggest using the Zeus Bolt Grinder. It's been perfectly calibrated to grind up your botanical to the perfect consistency. That means it's fine enough that it can be properly vaporized inside of your unit but not so fine that it slips through the screens. The second thing you're going to need to do is twist off the top piece to expose the heating chamber. Once you've opened up the heating chamber, take your botanical and fill up the heating chamber all the way to the top. If you don't intend to fill the heating chamber all the way to the top, put as much as you'd like then use the aroma pad to fill the rest of the space inside of the heating chamber. Once you're done take the top back on and twist it to lock it in place. Using the digital display you can set the Mighty’s temperature anywhere between 40°C and 210°C. 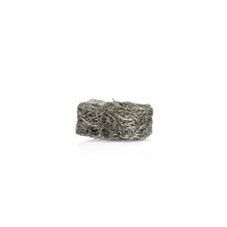 For best results we suggest vaporizing dried botanical between 190°C and 210°C. 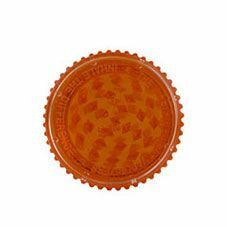 For use of extracts we suggest vaporizing at 210°C. Once the unit is loaded to use the Mighty vaporizer press and hold power button to turn the unit on. Once the unit is on use the up and down arrows to set your desired temperature. 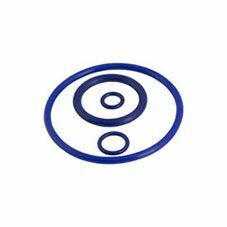 When the said temperature is reached, the unit will give short double vibration. Next, swivel out the mouthpiece and take nice, long draws to enjoy your vapor. The unit has an auto shut-off which will engage after 60 seconds of the unit not being activated. So it may be necessary to press the power button every 45 seconds or so to keep the unit from turning itself off. To wrap this video up I'd like to tell you guys about some of the impressive features of the Mighty vaporizer that make it such an awesome unit. The first is that it's got great battery life. Because it's powered by two lithium ion batteries you can vaporize for a really long time without having to worry about recharging again. The second is that it's extremely efficient. It uses convection and conduction heating simultaneously to maximize how efficiently it extracts vapor from your botanical so you get amazing vapor right from the very first draw. The last thing is the precise temperature control. Using the Mighty’s digital display you can set temperature down to a degree so you can get vapor that perfectly matches your needs. This vaporizer is a great choice for kind of Sirs who want a unit that delivers top of the line vapor experience with great battery life that they can use around the house. I'm Keagan for TorontoV TV. We hope you enjoyed this video and we hope you find it useful. And for all you connoisseurs out there: "Keep vaping!" What’s up guys this is HollyJane for TorontoV. Solid choice getting the Mighty. Let’s go over some quick cleaning tips to ensure you get tasty vapor with this unit, every time. First, we’ll go over the materials you’ll need, then we’ll get into cleaning and maintenance. The Mighty is pretty easy to clean; all you have to do is care for the heating chamber and cooling unit. To clean the heating chamber, take a ZEUS grime stick, snap the top, let the alcohol drain to the bottom, and swab the inside of the chamber. To ensure no alcohol particles are left are left behind, turn on the unit after a minute and let it run through a couple heating cycles. You can clean the cooling unit by soaking all the pieces in a jar or your diluted ZEUS Purify Solution, for about half an hour. To separate the cooling unit’s top and bottom, slide the logo towards the mouthpiece to unlock the two parts, gently pull them apart and gently pull of the mouthpiece too. Then use the ZEUS pipe cleaners and your small pokey tool to dislodge any remaining particles left in the nooks and crannies. Next, just rinse and towel dry. 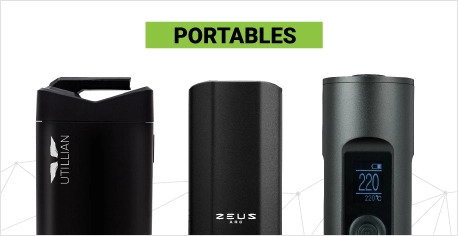 Now don’t go tossing out that ZEUS Purify once you’re done – keep it on hand for future use. You’ll know to toss it when the solution starts to get dark and a little dirty. After each session, we recommend you brush out your heating chamber and the surrounding area with your Mighty cleaning brush. This’ll help get out any extra particles and prep your Mighty for your next sesh. In terms of maintenance, Storz & Bickel has made it super easy to ensure you keep your unit as fresh and brand new as possible with their wear & tear set. 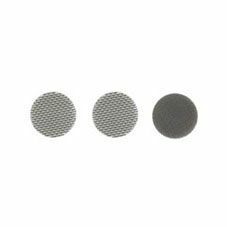 So we recommend grabbing yourself a Mighty wear and tear set and replacing your screens and cooling unit every 2-3 months depending on use, for maximum airflow and the freshest vapor. We hope you enjoy your Mighty and thanks for watching! If you have any questions, don’t hesitate to give us a shout! Cheers and as always, keep vapin! I have owned my Mighty for 3 1/2 years with no problems. This unit I use every day going through 16 dosing capsules per day with great results . I have never had any problems what so ever. The only issues are with the power adapters I have had to replace the car charger and the plug in charger twice. The digital display failed twice since purchase - it's a problem with these units. Once covered by the two-year warranty, second time they require you to buy a new unit @ $249USD, [which makes the Arizer Solo II with a 3 year warranty a much better deal], and a better vape too! Besides, the Mighty is a real mess to clean with all the nooks and crannies in the cooling unit. Like the mighty. My first vaporizer, good battery life. Great portable vape. It's very easy to use. Press the on button and it will reach the selected temperature in less than 2 minutes. German engineering at its finest. This is an awesome portable unit. No resistance to pulling. It's comfortable to hold and use. It does warm up but never to a level which would make it uncomfortable to hold. The vapor path is made in such a way as to dissipate heat so the vapor is always comfortable and smooth. Temperature is set easily and can go as high as 210C. The higher the temp, in general the harsher the vapor. The unit is fairly large. Check pictures online before buying to make sure this is for you. Size does not bother me, and the fact that it has a large battery makes up for this IMO. I find it's very easy to pull from it and it produces a nice thick vapor. The battery life is great so far. I get about 6 15 minute sessions. I know batteries degrade over time, and I wish there was a way to change this, but there isn't unless you send it in to them to change it or you tinker with it yourself and void the warranty. This is the only negative I care about but i made my purchase knowing this. Keep in mind the unit can be used even if the battery is low or dead, by plugging it in. This means that even if the batteries are permanently dead and need replacement, you still have a vape you can plug in and use. Yes it is pricey but it is a fantastic performer. Grab it when it's on sale and you won't regret it. I am new to vaping and had an arizer prior to this one. It was great except I hated the smell. I prefer to keep my vaping a bit private. The mighty is wonderful as far as the heating and battery life. I found the unit itself, the outer shell was very cheap. I have a medical condition that causes me to drop things. The body on this does not hold up very well. It separates easily from the center. The one support section on each side of the base breaks easily and it loosens the cover and connection of the whole thing. This is my second and I probably would not invest my money into the Mighty again. My husband bought me the Mighty for Christmas off of Toronto Vaporizer, he ordered on a Thursday and received it on Sunday. I have used many portable vaporizers, I own the solo, flowermate, and volcano and have tried countless. The Mighty has the best taste quality and simple loading, there is no draw resistance at all. I would buy this product again, I just wish that it was closer to the $350.00 mark. 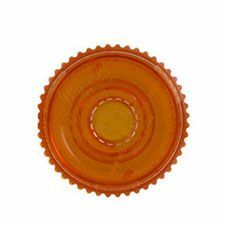 I also wish that Storz & Bickel would come out with an aftermarket glass mouth piece, that would be great. Just received this and tried for the first time. Easy to use, feels solid and very well designed. I used the included dosing capsule and it worked perfectly. Most impressive is the draw and how easy it pulls. This unit is pricey, however, I think it is worth it. I also have the Arizer Air and Extreme Q. Both work really well but, after one session, I have to say the Mighty is the best option. Highly recommend. I have owned several portable and one desk-top unit and this baby is the best of the lot. Hands down. The temperature stays constant, and the vapor delivered is nice, cool and tasty. The Mighty is about a 1/3 bigger than the Crafty, so if you need your vape to travel with you, consider the Crafty. I own both, and the Mighty is my go-to vape. The Crafty is my trip companion. Was I to choose one, I would pick the Mighty because it has longer battery life and I prefer the slightly larger size - it feels better in my hand. Happy vaping. 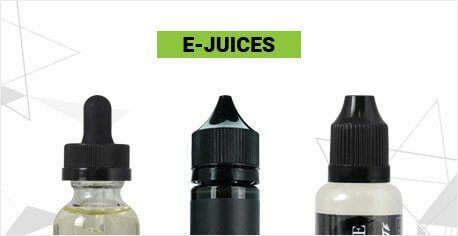 Ok, I've been vaping e-juice for some time for harm reduction and to save money. Cigarette free for over a year now. I should have got a herbal vaporizer long ago for the same reasons. The Mighty is definitely a 'game changer! I consume half as much herb as I used to and it works amazing. Charges fast, semi discreet and portable. Classy! Worth the cash in efficiency savings alone. Feels good to know I'm saving money. Never going back to combustibles. I have used numerous vaporizers and the Mighty is hands down the best. The battery life is amazing and the clouds this thing produces are huge. The temperature control and vibrations when heated up ate also awesome. The only downside is it is a little big to carry in your pocket. 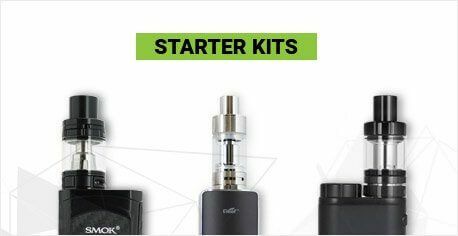 Overall when all factors are considered it is the best portable vaporizer you can currently buy. I've owned the Arizer Solo and the Air, so I don't have a broad range to draw upon. I held off on writing the review because I wanted to wait a couple months before I share my thoughts. I'll try to update this at the 6 month and 1 year mark. The unit is solidly built. I'm clumsy, especially so when medicated, and i tend to knock this thing over alot. Any issues with it later might be related to this, but so far no issues, just some scratching on the label where the serial # is displayed. I should really take 1 point off of quality because I do have an issue with the vape that has been present since day 1: the LCD screen doesn't always light up. Specifically, it seems the unit has to "warm up" before it comes on consistently. If you angle it, you can still tell if it's on, and it's an inconvenience I've learned to live with. All the little extras, like the filling tool, the brush, and the even the grinder (which I never use) are appreciated. 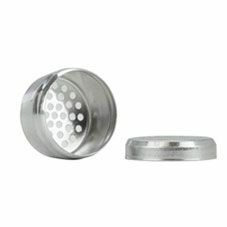 The filling tool especially is nice, you can load it up with 3-4 bowls, plus whatever is in the middle cylinder, so you can have extra sessions with you on the go. It fits in nicely on the front pocket of my Piper bag. I tend to pack the bowls a little more tightly, but I must admit that it does a fine job whether it's tightly packed or loosely packed. If you want a smaller hit, the included liquid pad works perfectly to fill in the space (if you only packed a half height bowl for instance). Obviously the first pulls are the best but I find that it lasts quite awhile, even being passed between myself and my best friend as we're chilling and vaping. The battery life is decent, and as with all batteries of this type it will degrade over time. I haven't seen much degradation (yet). A note about my usage: for the first month that I had the unit, I was hitting it everyday. If you're a regular everyday user, you're obviously going to go through your stash very quickly, this isn't the fault of the vaporizer. I can't make any judgements on conservation or efficiency because everyone consumes differently. I tend to use the vape on weekends only now, with a couple sessions throughout the day. You are definitely rewarded for maintaining the unit: brush it out after every session (while the residue is still "dry" so to speak, it gets sticky once it cools) and depending on your usage, give the girl a cleaning every month. Holly has a video here but just disassemble the cooling/inhalation chamber, separate the parts and soak it in iso for 20-30 minutes. Take it out, give each part a quick scrub with a designated "vape" toothbrush, and rinse with warm soapy water if desired. Dunk the cleaning brush in the iso, and give the chamber a nice cleaning. I usually let her run for 10-15 minutes after to help evaporate any remaining iso. A little long winded, but I hope you can tell how much I love my vape! It's unfortunate reading some of the other reviews, and they should be kept in mind. Maybe I got lucky with my unit, so a word of caution. I love this vaporizer. I recently made the upgrade from a solo and I have no regrets. The build is solid and the heat up time and battery life are incredibly satisfying. The only thing that took away a star from my review in "value" is the battery charger. For 500$ ID expect better at the very least a USB. I'm really tempted to buy a spare one just by how unreliable it looks. Other than that Dealing with Toronto vaporizer was a breeze and the Zues grinder is a cool bonus. It shipped super fast and I just like they promised it was new stock judging by the serial number being in the higher 30000s. Would def recommend this vaporizer and site to a friend. This thing is built like a tank. The build quality is what you would expect from a german product. The vapor quality is amazing from start to finish. Normally conduction vapes makes the last few hits taste burnt but this convection vapor is smooth throughout the session. The only way you can tell if it's done or not is by the amount of vapor you're exhaling. I also have the Arizer Solo and when I first got that I thought it was AMAZING. When I got the Mighty I was even further amazed. Yes it costs quite a bit I don't see any other way other than a Volcano. I have been using both the mighty and the crafty for around a year now and am glad I spent the money on these units. The Mighty had to be returned as the old software would sometimes turn it off before it reached the desired temperature. I was sent a new unit with updated software and there are no issues, just pure enjoyment. 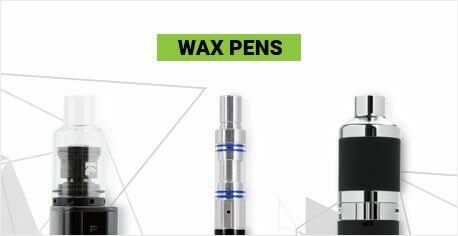 Top notch vapor and flavor, easy to load and clean, easy temperature controls. This is my favorite vape, and the best I have ever tried - including desk top models. I highly recommend it! this unit is not worth the cost. Plain and simple is is no better then the Arizer Solo, and 3 times the price. I expected more coming from the company that designed the Volcano. Save yourself some $$ and grab the Arizer Solo. Which is still the standard when it comes to portable vapes. Bought this device in March 2015 and have had to send it back twice for warranty repair due to the casing coming apart. Other than that this device is awesome, it's funny that some ppl complain about having to reset the unit every 45 seconds. This is THE very best portable vape you can buy (for herb). The build quality is superb, the vape produced from this machine is smooth and full of unbeatable flavour. I use this device more than my desktop units (Cloud Evo, Sublimator). Its that good. I recommend this or the smaller stealth version of this vape. AMAZING job in creating this vape. I have had no problems with the unit at all. If you want the best out there.. you found it. - fast and easy. can get a session in in under 3 minutes. Look, if you are going to buy a vaporizer so you can be healthier, and save on botanical, I dont understand why you would cheap out and get anything else. It's like any electronic you use everyday. Would you buy a no-name cell phone? Would you buy a cheap video game system? heck no! Look all I'm saying is vaporizers are an investment, so yes, your bank account may suffer for a coupe weeks but you get what you pay for and will be happy in the long run. I cannot stress enough how amazing the vapor is with the mighty. It is like nothing I have ever tried and it blows my mind everytime. If you are not convinced to get this one, you need to reconsider your priorities. I had to drop the over-all rating as the unit stopped working and I had to mail it to another country for warranty. Quality poor as start button would not work after less than forty uses. Something rattling around inside. I have read that other users have had the same issue. Convenience, when working is great and when broken with no easy way to get repairs, convenience is negative. Value; is low as high price did not get me a unit that worked with no easy way to rectify. I will avoid buying online again. I need to be able to walk into a retail shop. One line to explain this whole experience with vaporizers: you get what you pay for. This is a beast of a vape. Also have the solo (good unit, but fiddly and hard to clean) and tried a couple of "mom and pop" units that were crappy. The mighty and its little brother the Crafty are the top dogs depending on your needs. Plenty of You tube videos of both to compare. Did have an issue after 3 months with the back light to the LCD screen going out. But the unit was being used a lot and these things happen. Storz & Bickel USA have asked us to send it in and we are expecting it back within a week either fixed or a new unit. Basically its expensive, but you get what you pay for. Consistent. Easy. Well built. It doesn't get any better. Hands down the nicest portable if you don't mind the bulk, otherwise get a Crafty. Superb vapour quality, excellent battery life, beautiful LCD Display, very nice rubberized buttons. I find it to have a slight plastic taste but shortly went away. Only bad thing I can say about it is it seems overpriced, but it is so amazing compared to others that spending the extra money will get you a far superior vaporizer. Included filling tool is genius, and the Zeus Bolt included free is also very nice. I am impressed with the purchase, it is very nice to use a "top-tier" product. Resetting the unit every 45 seconds is not acceptable. Just turning it on is stupid because I would have to press the reset button 10-20 times just to get it up to operating temp. I have a Solo and and a Arizer and they are great portable Vapes. But the Mighty is just that. MIGHTY. I know the price tag is way up there but what the heck enjoy it. The Mighty delivers the best vapour I have ever had with a portable. It's not very small or that portable but the quality of the vapour and long battery life is makes up for that. It's the best Semi Portable Vape I have ever used. 9.5 /10. Spend the money and enjoy. I ordered the Mighty because I enjoy the digital read out. 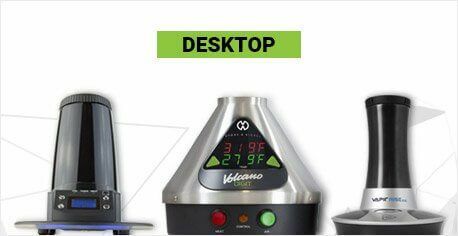 I would like to be able to afford the Volcano from S&B but it's very pricey and not portable so when I checked this site ( my go to site) I saw this new portable from S&B and I figured it would be of the same great quality as the Volcano. They have come out with the Crafty and the Mighty and I watched the videos of both and immediately chose the Mighty because of the digital read out, because being small and ultra portable was not really a priority for me. I actually like the size, it's easy to load either using the load assister or just manually given the fact that it doesn't stand on its own, for me wasn't a deterrent. 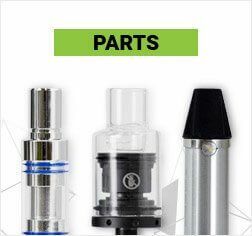 I really was going for quality of vaporizer with good quality vapor which delivers both. I'm very happy with it. It's a keeper for me and I know eventually I'll end up with a Volcano as well but for now I'm happy with this purchase as I really wanted to have the best of the best.